Could Food Make Dieting Easier? Ladies and gentlemen, we have some good news for you for once. There ARE foods that you could make your dieting journey easier. There are actually foods out there that not only satisfy your cravings but could also help you to feel fuller for longer, giving you a nice injection of vitamins and minerals to boot! Do you want to learn more? We’ll start with an easy one; one that you probably already know about. Not all cereals are crated alike. You might think that all breakfast cereal or cold cereal is going to be good for you but the reality is often something a little different. Anything that contains a whole ton of sugar probably isn’t going to make you feel great such as sugar-frosted stuff, for example. Bran cereal however, is the perfect thing to munch on when you want something that will stop you snacking, and when it comes to satisfaction, it is one of the highest ranked foods on the scale! There is a whole ton of fiber going on in the average bowl of healthy bran cereal – this means that your digestive tract will be moving along quite nicely. When you are not holding on to waste products, you are going to start losing weight and on top of that, the fiber content will help you to feel much full for longer. 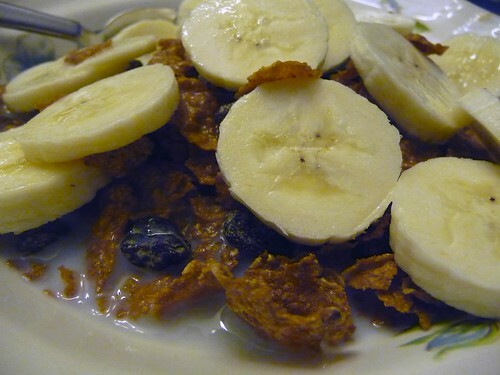 If you find bran cereals too bland for you, why not throw some fresh fruit in there such as bananas, raisins, apples, berries, etc. to help liven things up. In fact, this brings me very nicely to my next food that could make your diet easier. Bringing up the fiber factor again, we come to the humble apple. Did you know that this was one of the best foods that you could eat if you are on a diet? There is so much fiber that you definitely feel fuller for longer after eating it and on top of that, you could eat more of this food throughout the day without having to worry too much about the calories. These fruits are actually fairly low in calorie considering they are jam-packed full of goodness. Why not pop one in your bag or car for when you next get peckish? The water content isn’t something to sniff at either. You’re normally told to avoid things like potatoes when you are on a diet because of the high starch content but you could actually be doing yourself a favor by eating more of these when calorie counting. 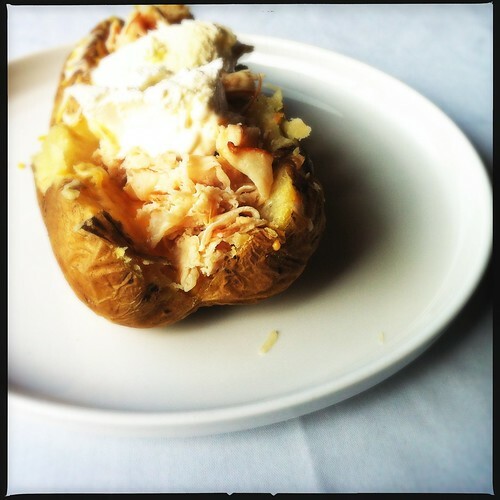 Baked potatoes, for example, are especially good for you, and this is definitely the case when you use a healthy topping such as low fat cream cheese or a good boost of Omega-3 fatty acids with tuna. Funnily enough, this brings us nicely to our next food again! 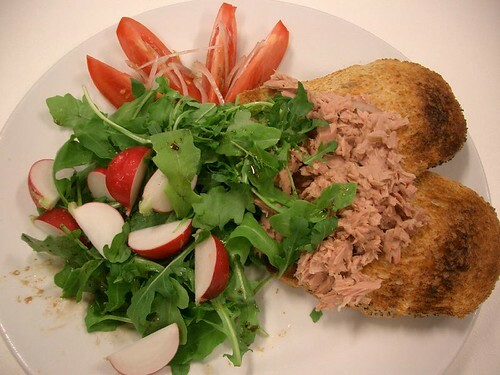 Tuna, salmon, mackerel – all very good foods to eat when you are on a diet. Calorie for calorie, you can eat more fish than you can things like pork, chicken or beef. This means that when you eat more, you are filling yourself up more and, in turn, this should keep you feeling fuller for longer. You could use low-fat mayo with tuna on top of a baked potato or in a sandwich with whole grain bread. What about salmon that has been cooked on the BBQ with a nice healthy baked potato based side? There are so many things that you can throw together, this could be the most universal foods on the planet! So there you have four pretty awesome foods to eat when you are in the process of dieting for the summer bikini body you have always dreamed of. Maybe it really could be as easy as eating the right foods to make dieting easier…. Let us know how it goes!